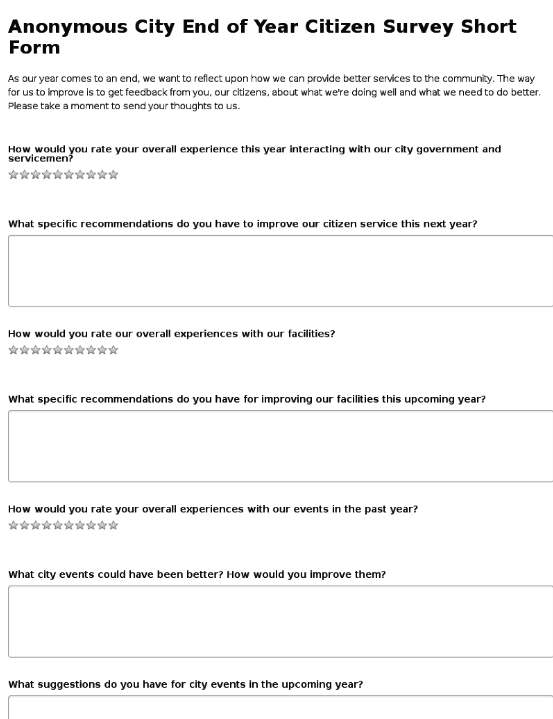 As the year comes to a close, asking citizens about their experiences with your city government and as members of the community is a great way to start the upcoming year. 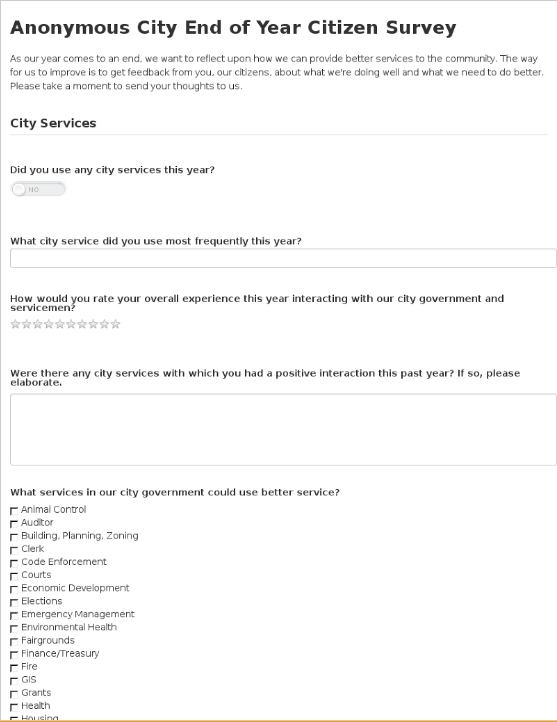 Use the Anonymous City End of Year Citizen Survey Short Form to get valuable anonymous feedback from your citizens to help your government make improvements next year. 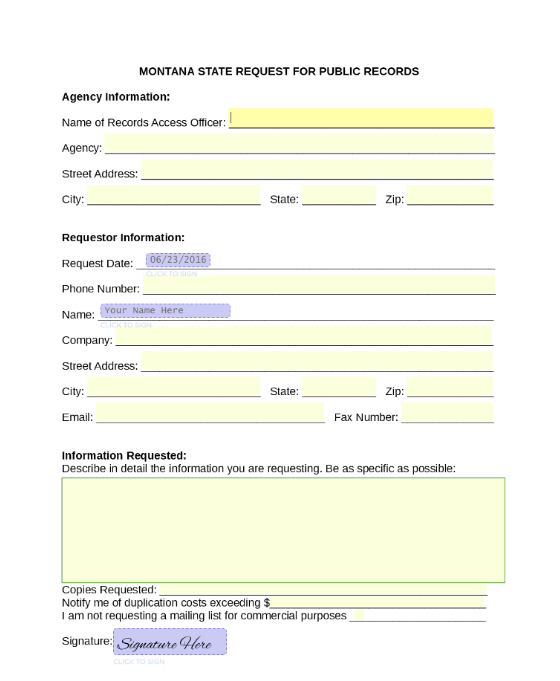 Citizens will routinely desire to hold a special event in a public forum or facility. 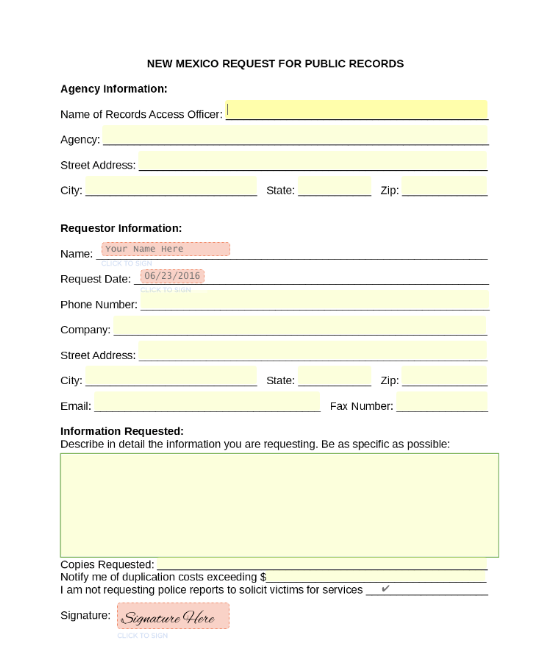 Without a streamlined process for intaking these applications, government workers can waste hundreds of hours of time printing, scanning, and re-routing documents between departments. 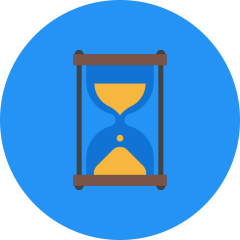 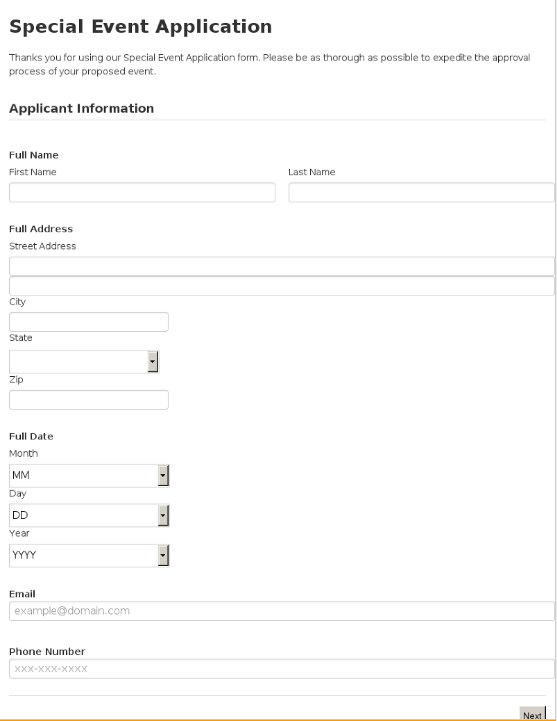 Use the Special Event Application to create an application for events that saves your constituents time, and your staff money. 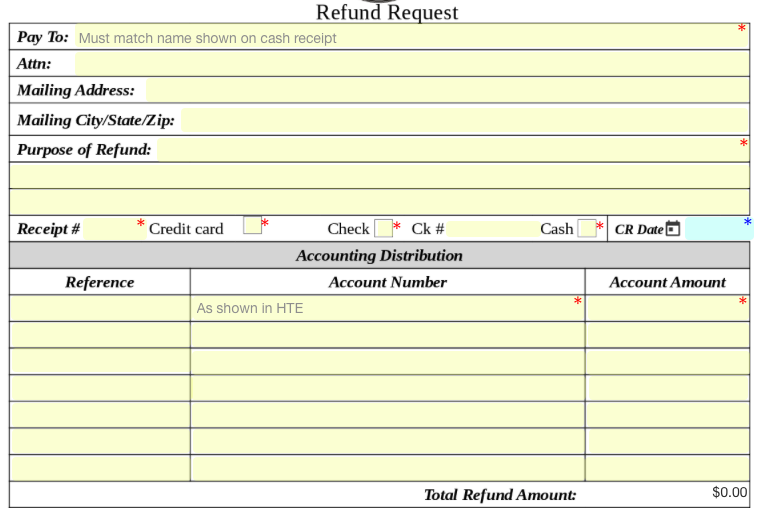 This Refund Request is easy to fill out and does the simple math for you. 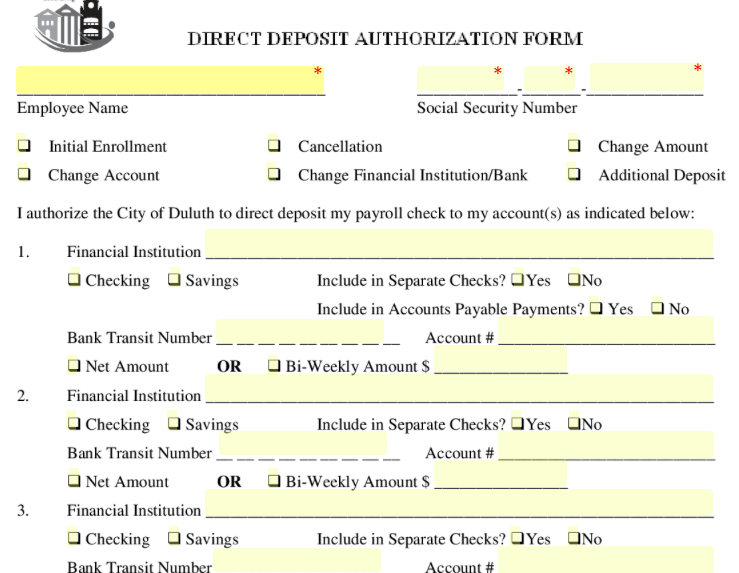 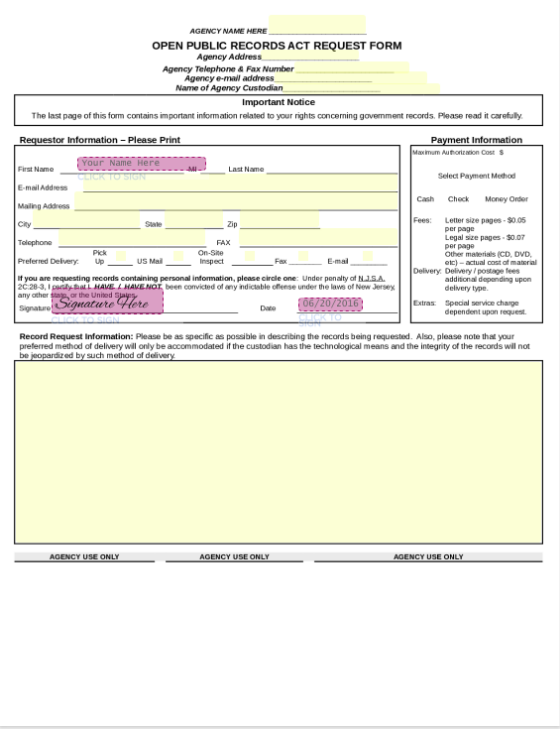 This Credit Card Expense Form is easy to fill out and takes only a couple of minutes. 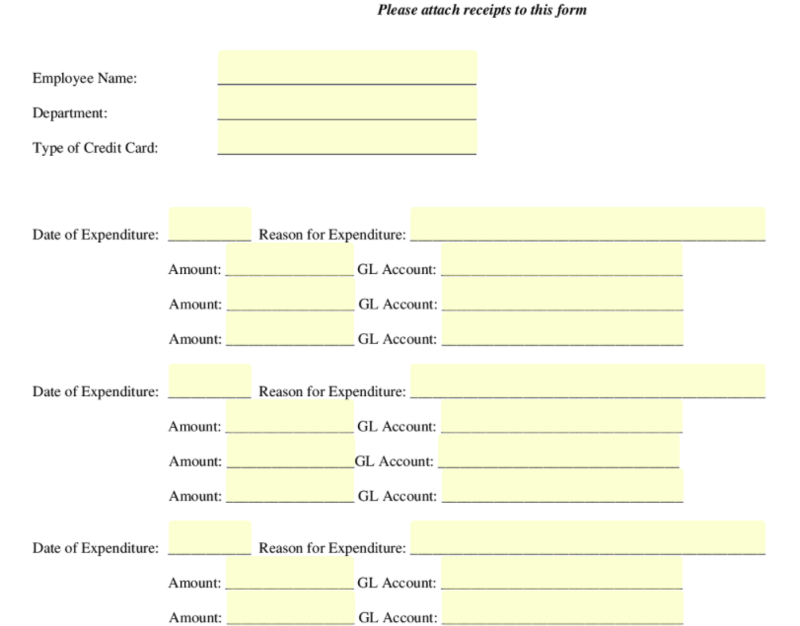 Use it to track spending. 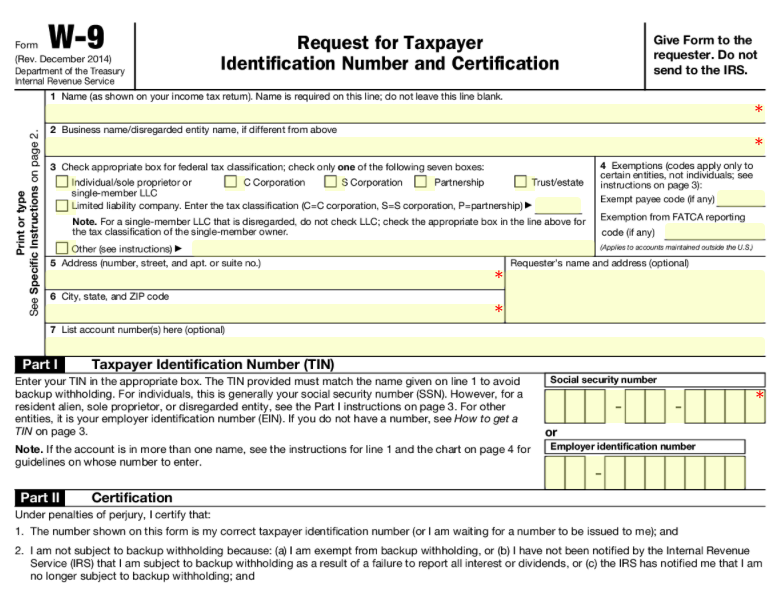 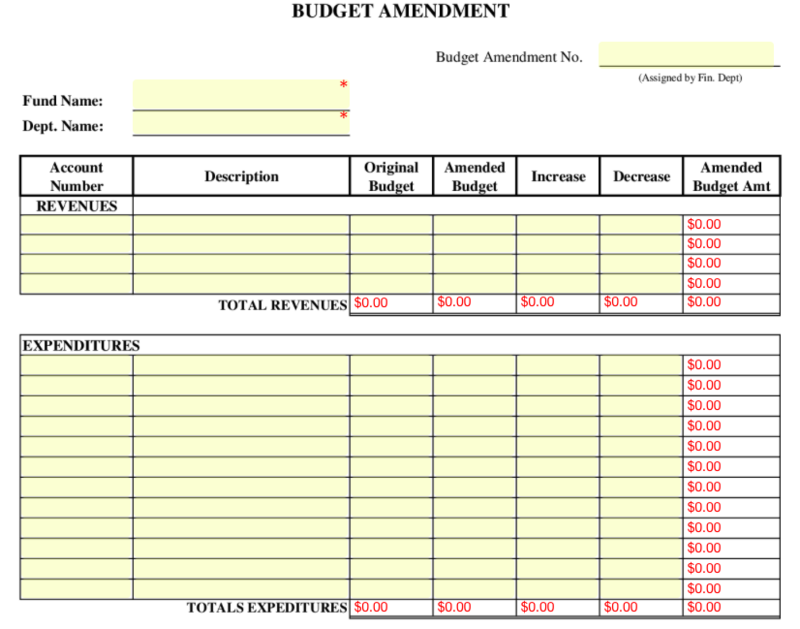 This Budget Amendment Form is accessible online and simple to fill out. 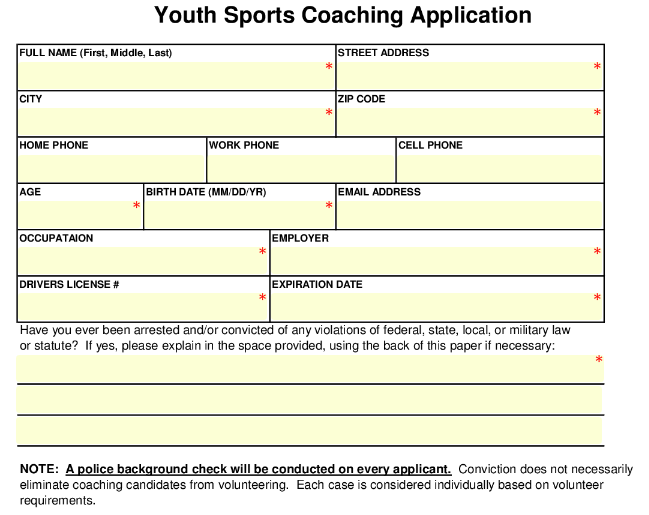 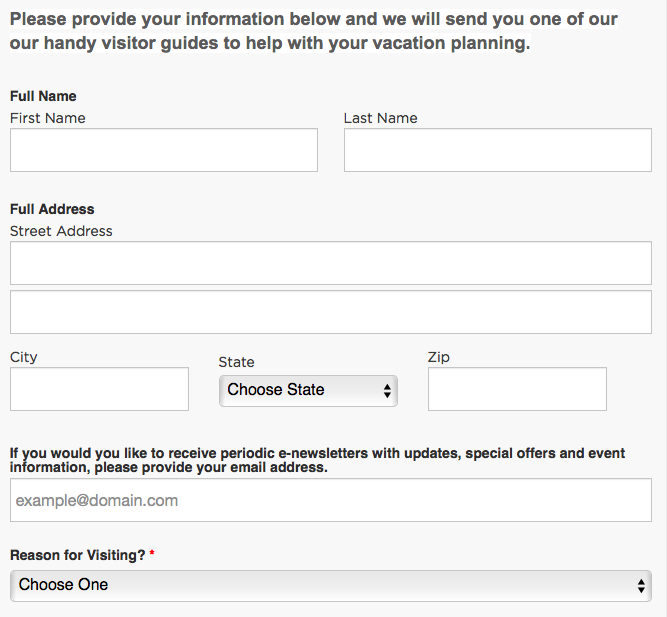 The form even adds values up for you. 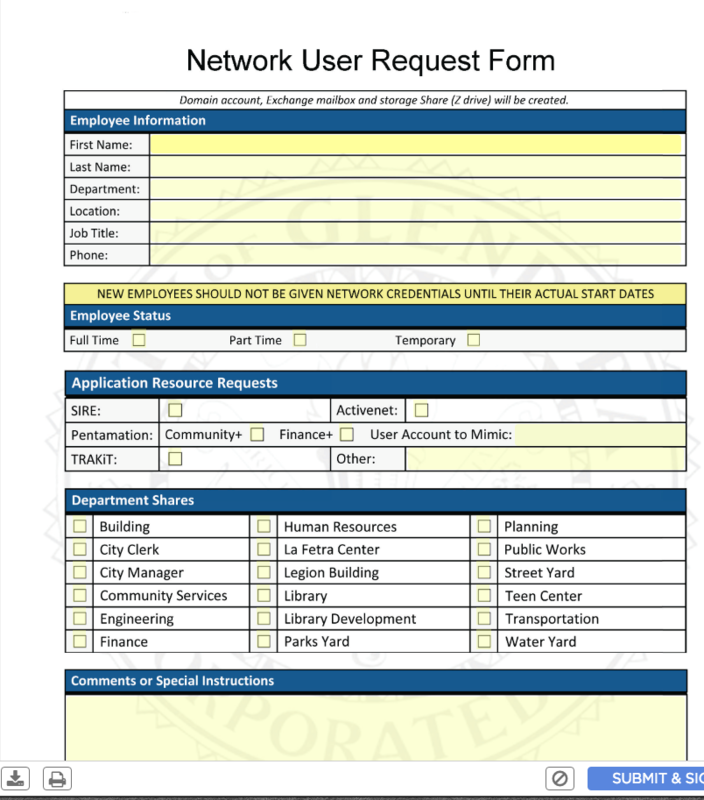 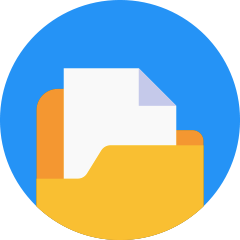 This network user request form will allow your IT department to create, revise, and process network users. 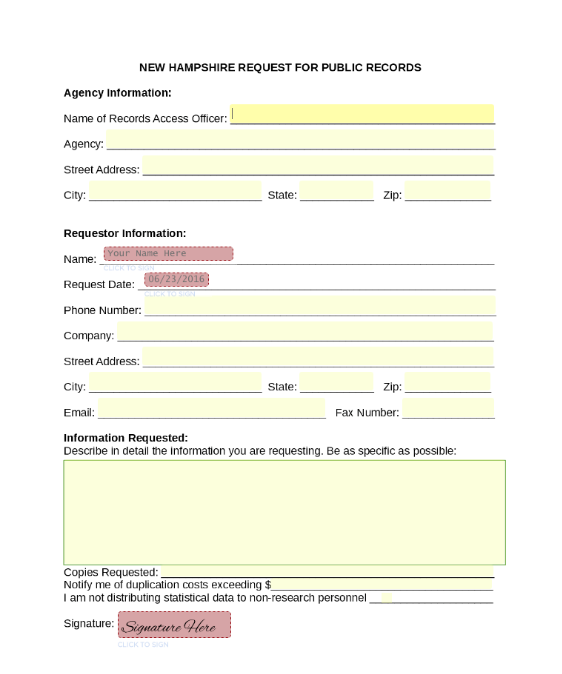 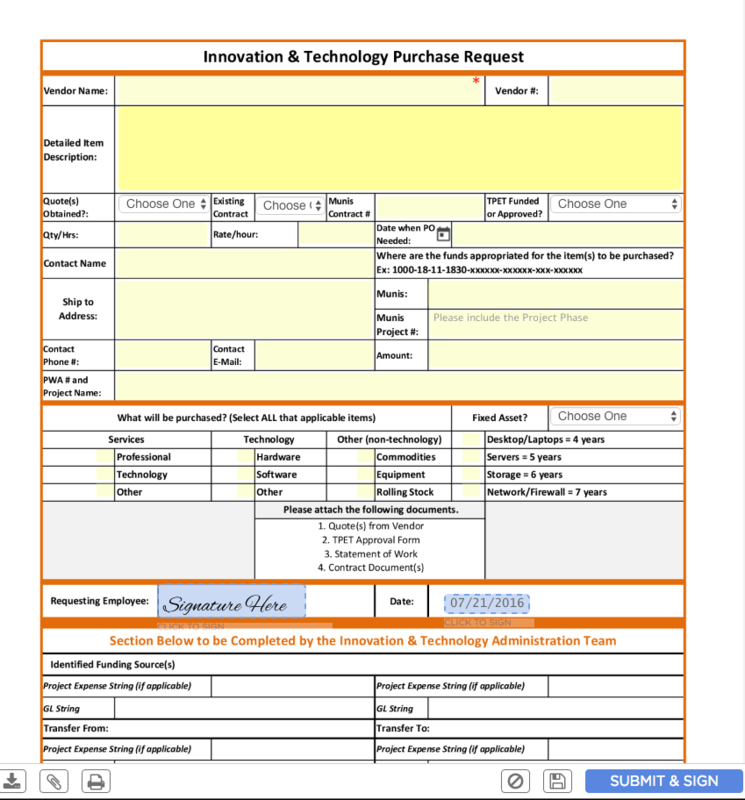 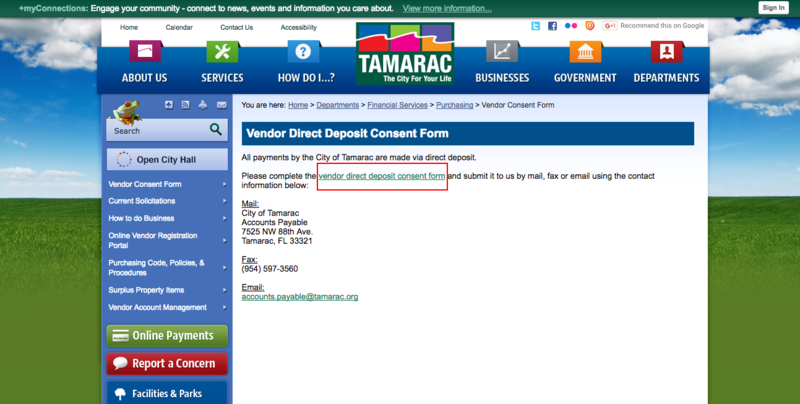 This form is specifically suited for requesting a purchase from your IT team. 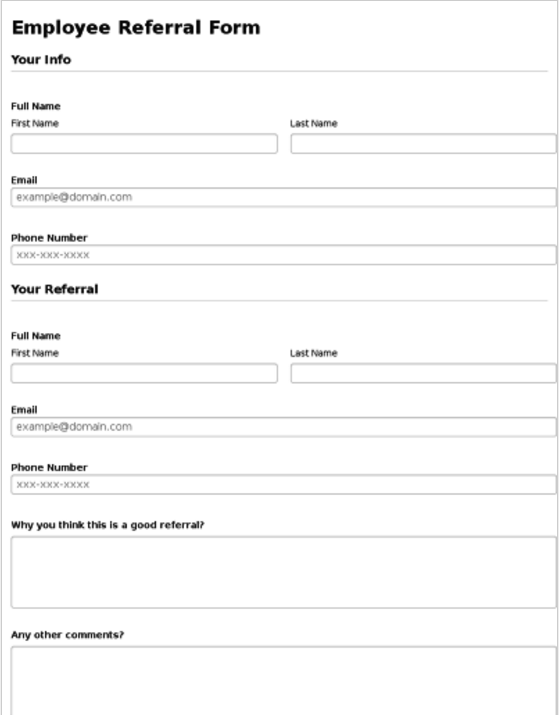 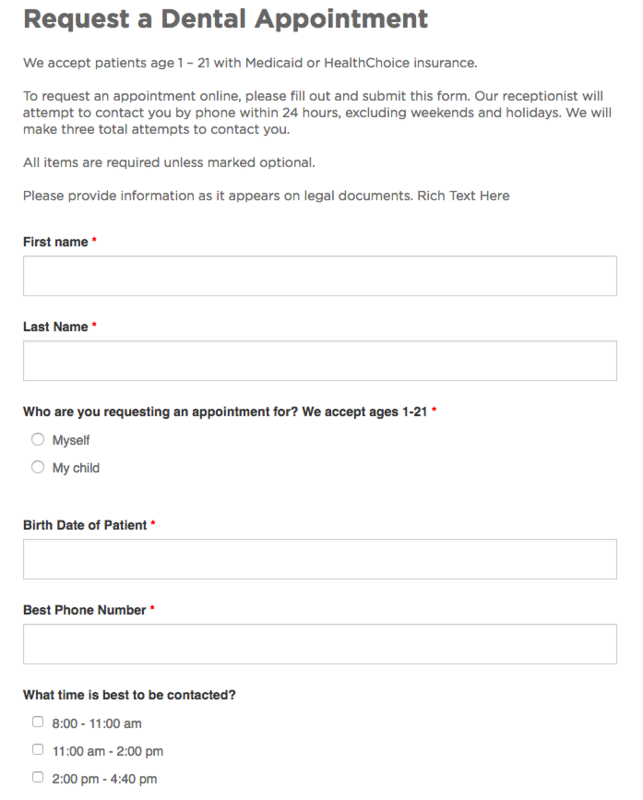 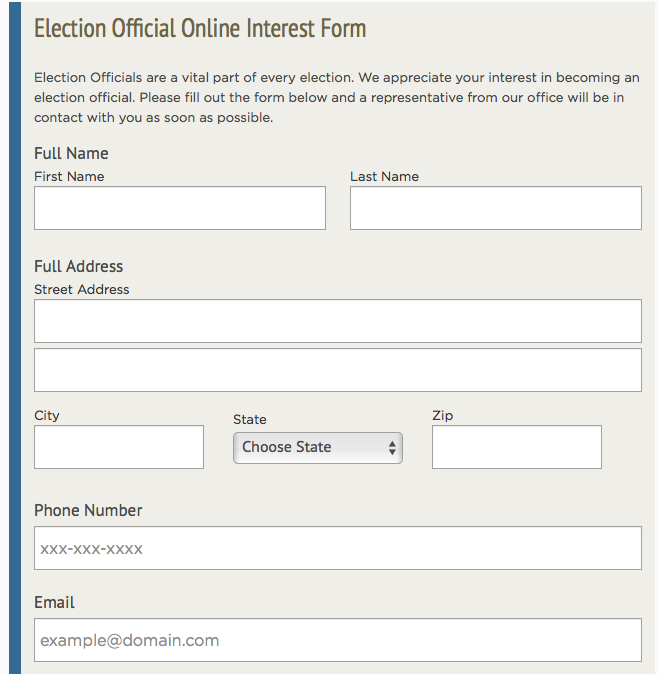 Use this template to set up a contact form for your web team, soliciting feedback and suggestions. 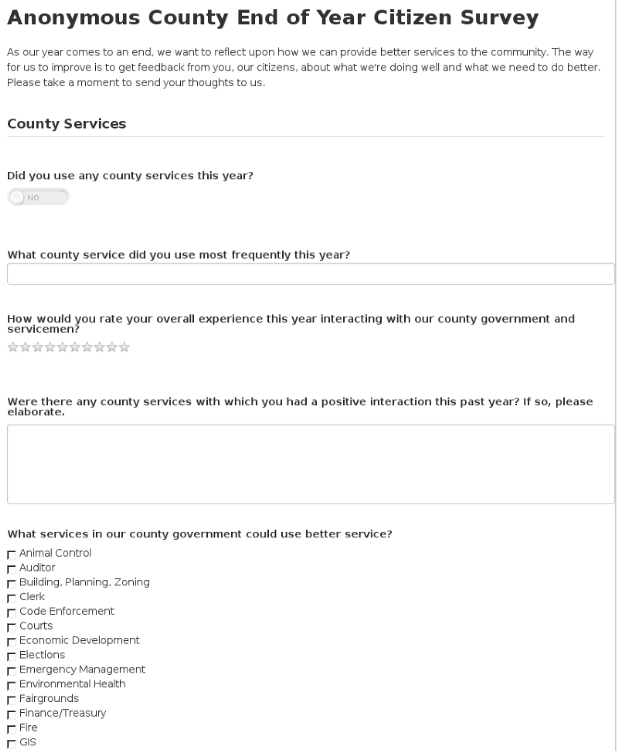 As the year comes to a close, asking citizens about their experiences with your county government and as members of the community is a great way to start the upcoming year. 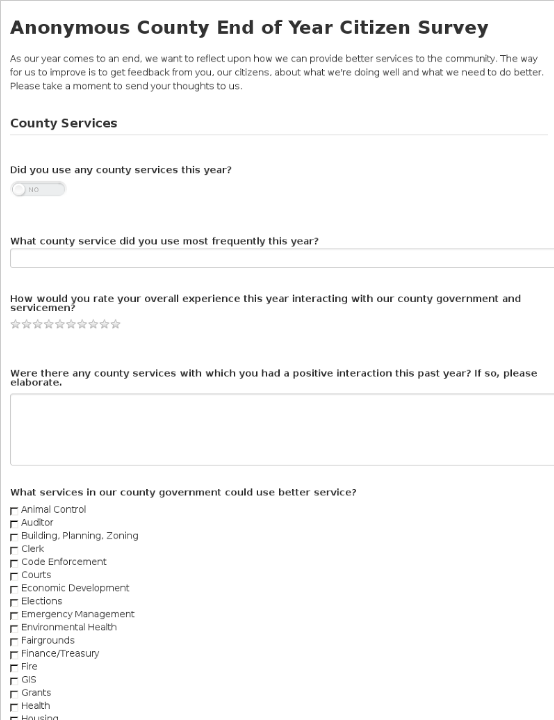 Use the Anonymous County End of Year Citizen Survey Short Form to get valuable anonymous feedback from your citizens to help your government make improvements next year. 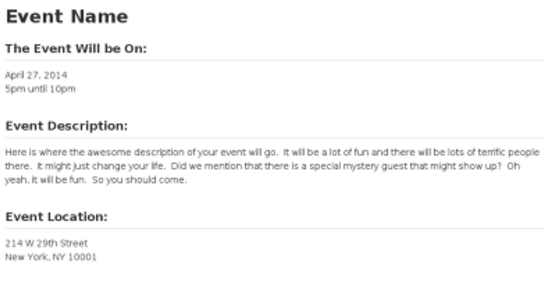 It's important to find out how your participants are liking your events. 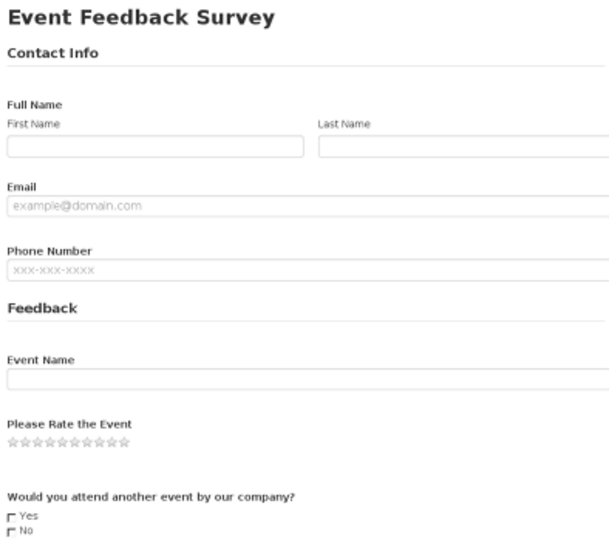 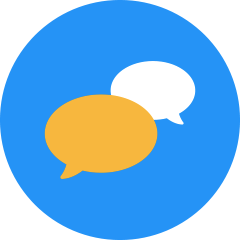 Provide an event feedback survey to find out how your participants experienced your event. 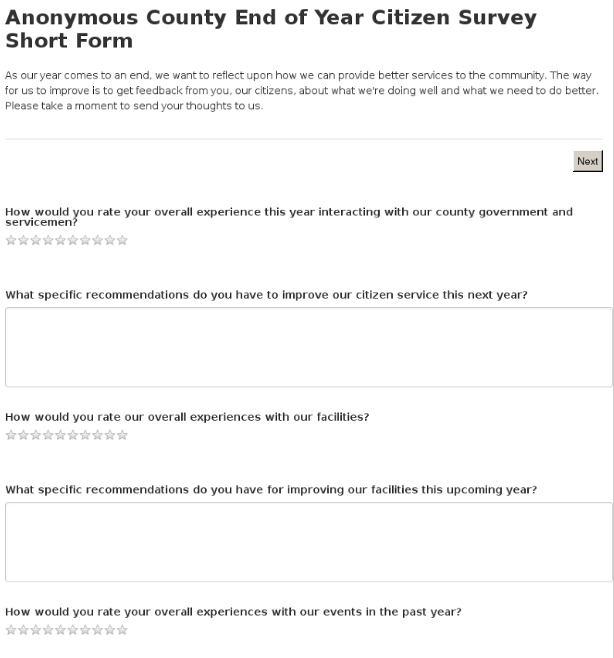 This Event Feedback Survey asks all the right questions to find out vital information about how your event was. 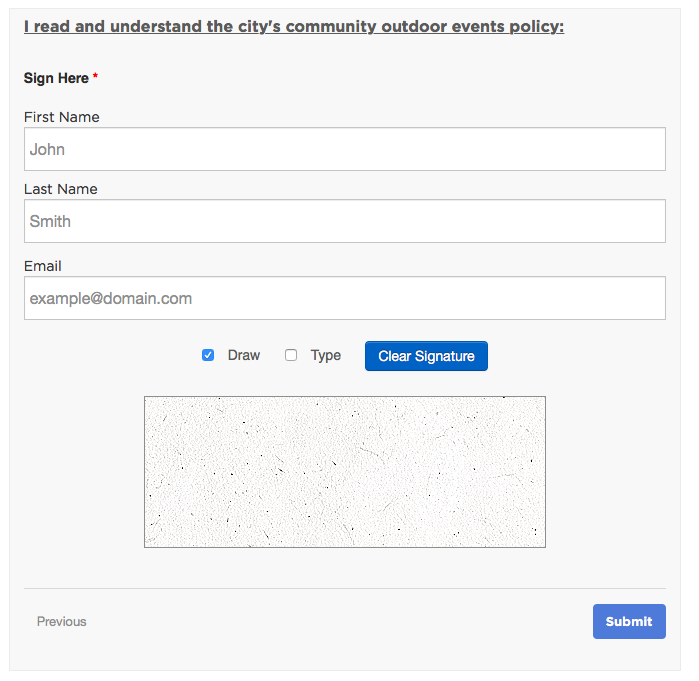 This way you can make the necessary changes to improve your event in the future. 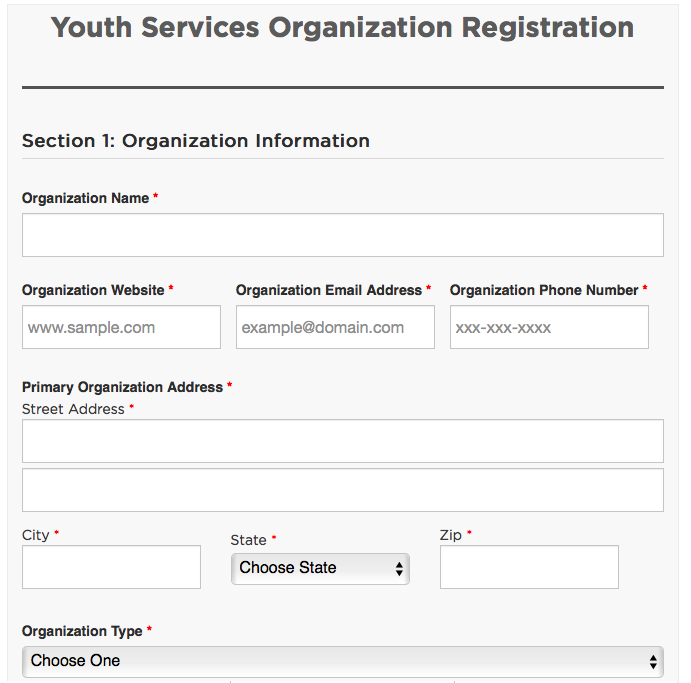 So this event registration has all the 5 W's included: Who, What, Why, Where, & How. 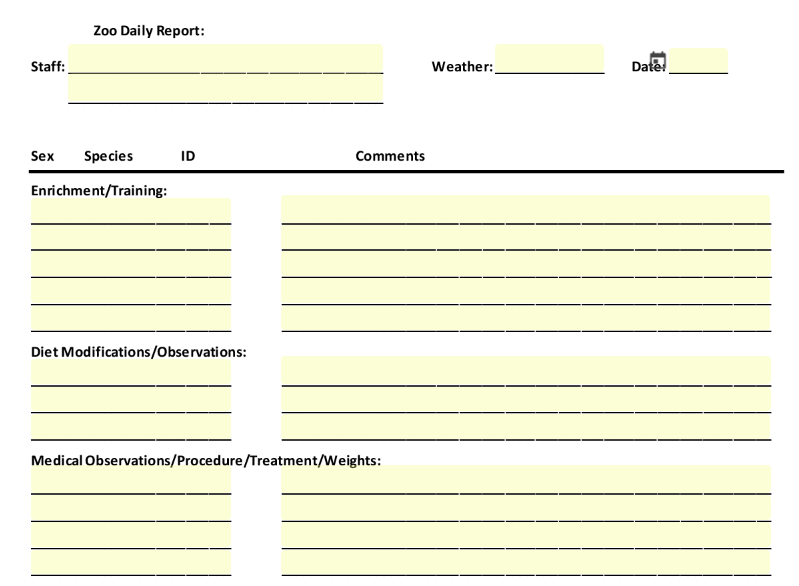 Does anyone know how How somehow slipped into the 5 W's? 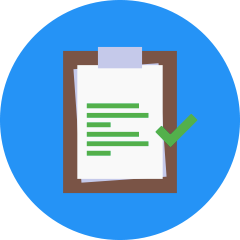 We polled the team and we were able to justify its membership by the last letter in hoW. 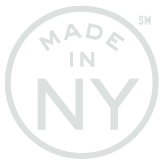 I mean it is a W so while it isn't a perfect match, if it was good enough for my 2nd grade grammar teacher, than it is good enough for us. 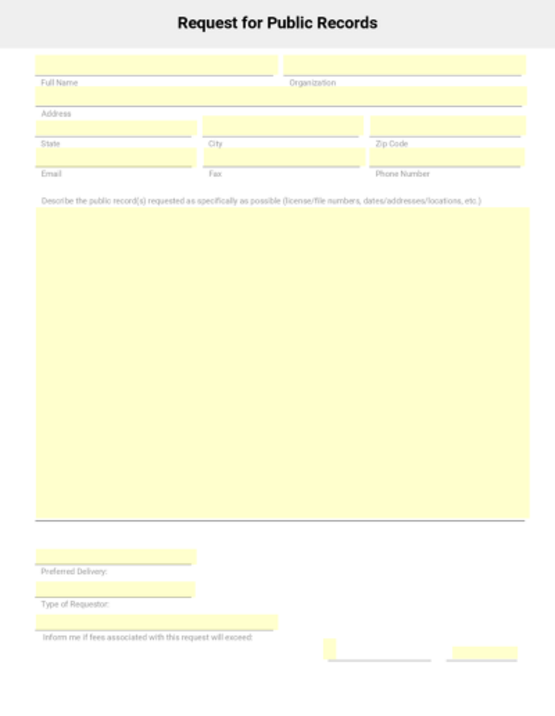 Oh yeah, and it is pretty beautiful with payment integration and a nice flow so at first you see the name and information of the event (even a map too) and then you click next to fill in your personal information to register. 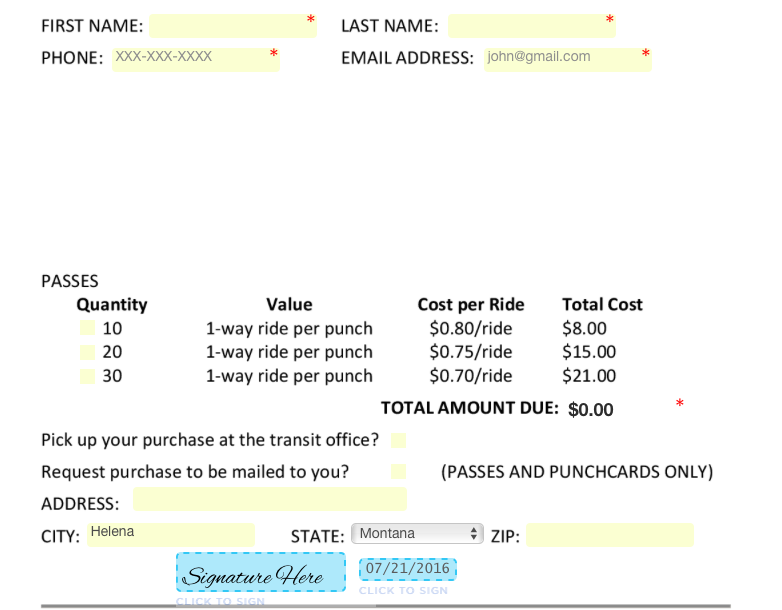 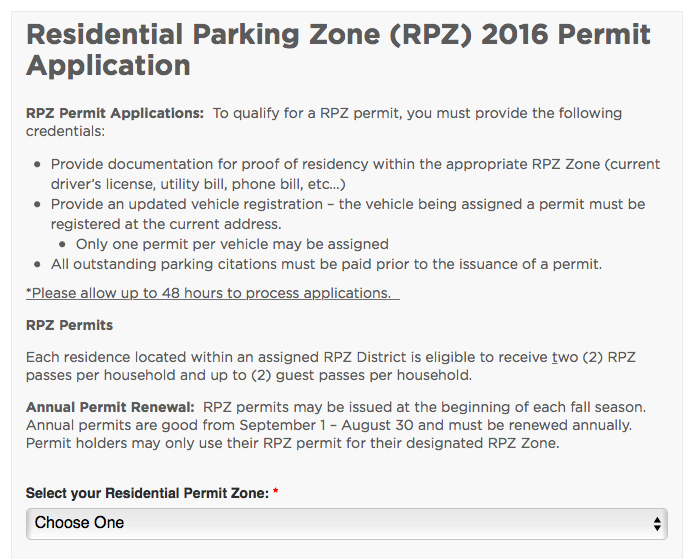 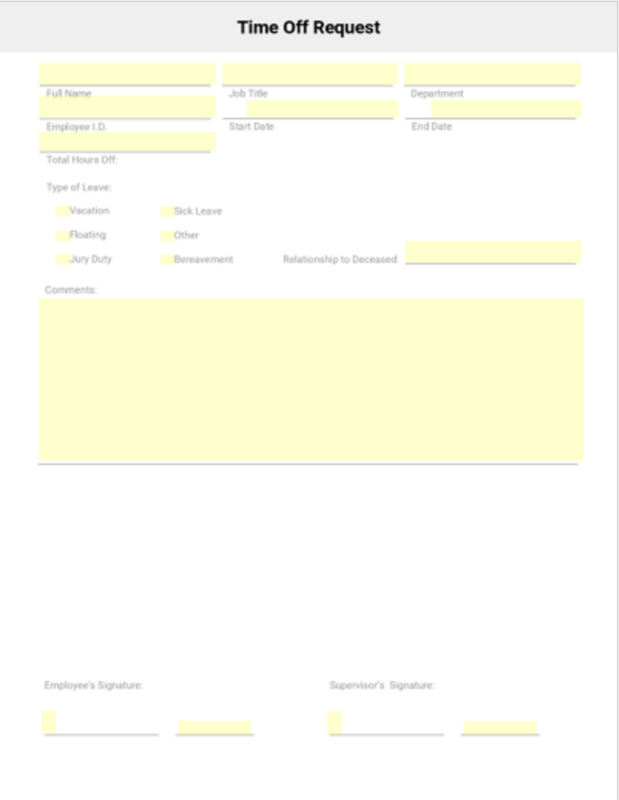 It is easy to customize and add or modify any questions you would like to answer. 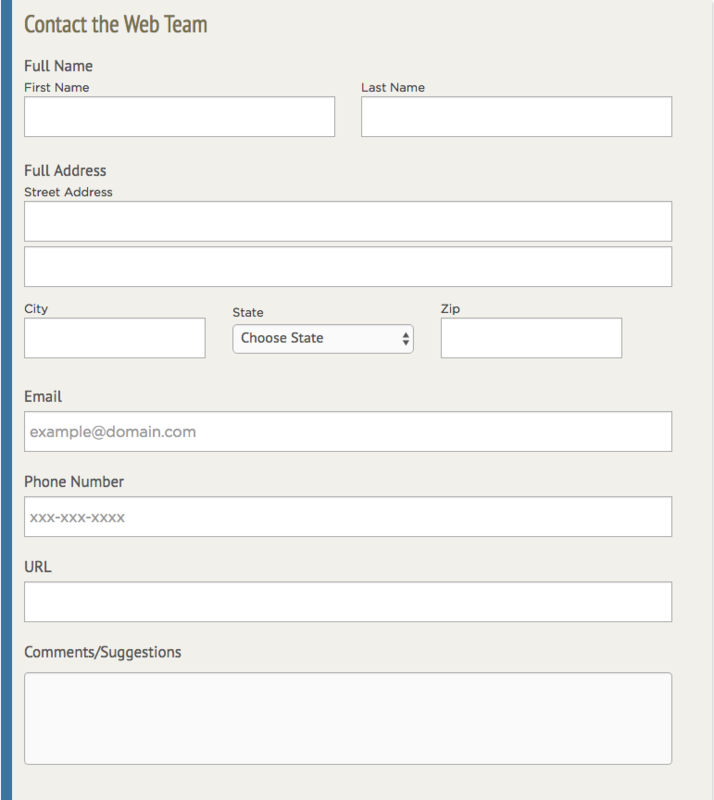 You can even add in payment options if you want like PayPal. 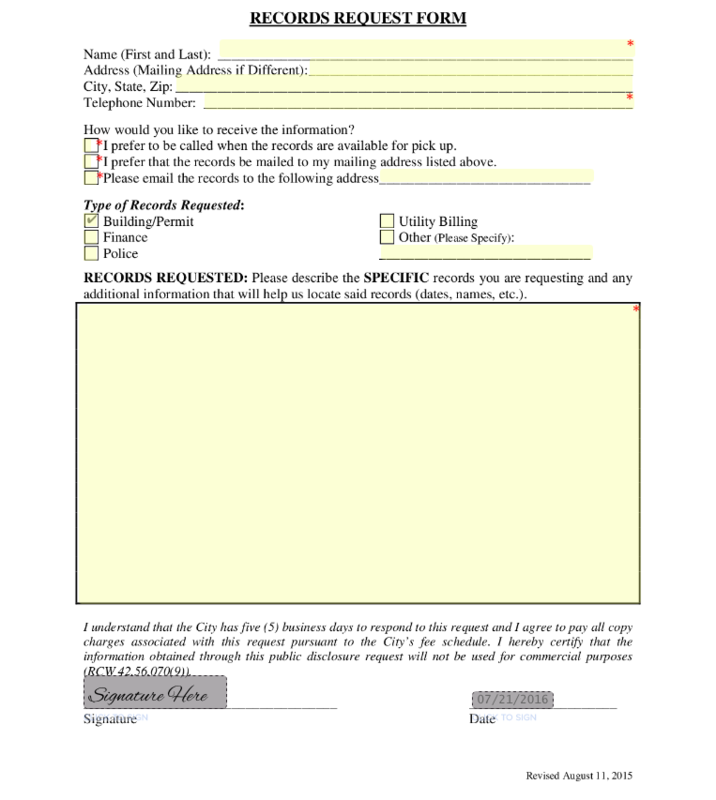 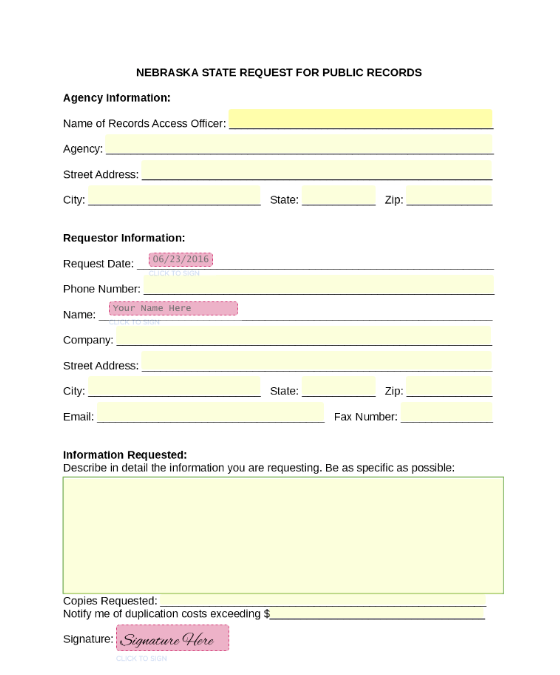 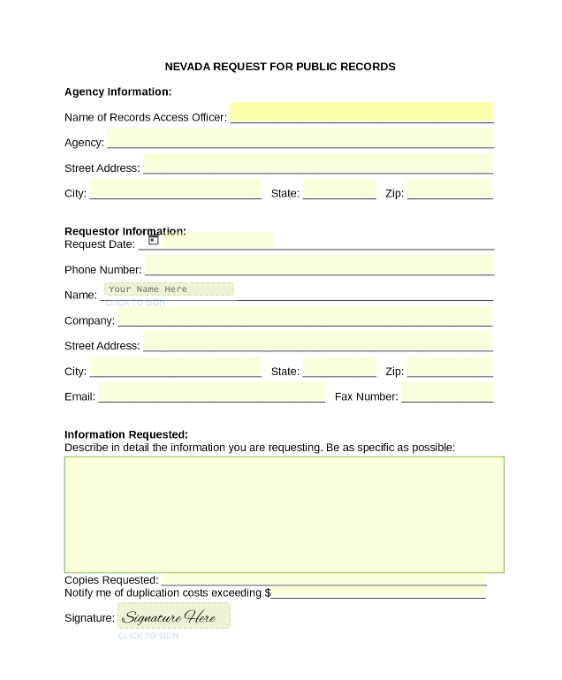 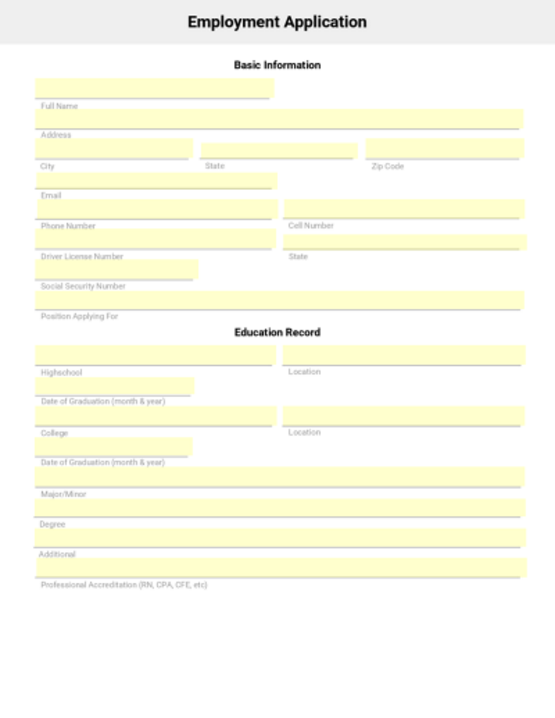 This is a time off request form, allowing your employees to submit their type of leave and the date of their absence.